Why do you write business proposals? Same reason we do! We write proposals to win more business, pay our bills and send the kids to college. Same as you, I guess! Right? What’s the best way to write a proposal? There is no ‘one way’ that works every time. But here are some pointers to consider. To make your proposal work, you need to persuade your client that your solution is significantly better than your competitors. Not slightly better, but so much better that is would be foolish not to accept it. What makes this happen? As you write your proposal, look at where and how you can persuade the reader to buy your product. How do you do this? You get the reader’s attention by highlighting a specific need or problem they have and then explain how you can solve this. You need to show that you understand their need and approach this from many angles throughout the proposal. Demonstrate to the client that you recognize their need. State it clearly. 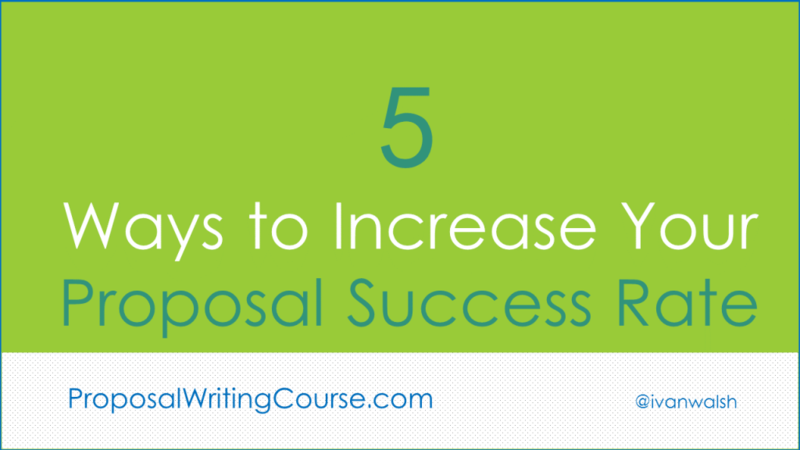 Next, discuss the benefits they can expect to gain by accepting your proposal. Discuss the solution at a later stage. with the solution you’re offering. To support your argument, explain the consequences of inaction or selecting inferior products. You’ll establish credibility not so much by demonstrating your expertise, but by showing your understanding of their business needs. Make sure that the reader clearly understands what you are proposing. Ask yourself – can they summarize in one sentence what you are proposing. Make a firm, clear recommendation accompanied by specific action steps. Avoid vague statements. Present it so well that the client believes that your solution will meet their needs. This effort will show that you understand the costs involved, particularly the Return On Investment to the client. Also, discuss related issues, costs, management issues, schedules, risks, future implications. Always return to your key selling point and recommendation presented in terms of a quantifiable benefit. Wrap up by give convincing reasons that the client should choose you over all others. About the Author: Ivan Walsh is a recovering technical writer who now writes business proposals for clients coast-to-coast. He shares business writing tips for smart people like you at Klariti.